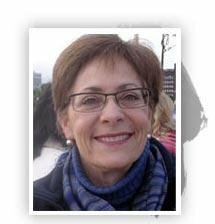 Joyce Neu is Founder and Senior Associate of Facilitating Peace. She has been engaged in conflict assessment, mediation, dialogue processes, facilitation, evaluation, and advising at the official and/or unofficial level for 20+ years in sub-Saharan Africa, the Baltics, the Balkans, the Caucasus, Cyprus, and Sri Lanka. She was the first team leader for the United Nations’ Standby Team of Mediation Experts deployed to assist Special Envoys of the Secretary-General with peace processes and traveled to the Central African Republic (photo above), Comoros, Djibouti, Ethiopia, Kenya, and Senegal. She has consulted with the U.S. State Department in Côte d’Ivoire, Ghana, Madagascar, and Rwanda; has facilitated discussions among Sudanese women’s political party movements and women’s NGOs during the (north-south) war in Sudan; was founding executive director of the Joan B. Kroc Institute for Peace & Justice at the University of San Diego; and as Senior Associate Director of the Conflict Resolution Program at The Carter Center, advised former President Jimmy Carter on conflicts in more than two dozen countries and led mediation efforts with heads of state and opposition groups on his behalf in the Republic of Congo, Mali, and Sudan and Uganda. Dr. Neu advises on peacemaking and peacebuilding, including dialogue processes, with a special interest in gender inclusion. She has served as consultant to the UN, Government of Norway, International Criminal Court and unofficial organizations. From 2006 – 2007, she was a Jennings Randolph Senior Fellow at the U.S. Institute of Peace in Washington, DC conducting research on the impact of international criminal tribunals on peace processes (published in Negotiation and Conflict Management Research, February 2012). She has published articles on conflict resolution, negotiations, and sociolinguistics and has given talks and conducted trainings around the world. Dr. Neu serves as a Special Advisor to the Joan B. Kroc Institute for Peace & Justice and sits on the editorial boards of the Oxford International Encyclopedia of Peace, Peace & Policy, and Communication Education and on the boards of the International Peace & Security Institute, Toda Institute, and the Western Behavioral Sciences Association. She is a member of the Pacific Council on International Policy, International Studies Association, and Women in International Security. She was a founding member of the Alliance for Peacebuilding (Washington, DC) and the Center for Negotiation and Conflict Resolution (Penn State University). She has taught at the University of Southern California, Penn State University, Adam Mickiewicz University (Poznan, Poland), Emory University, and the University of San Diego. Dr. Neu was a senior Fulbright scholar in Poland and a Peace Corps volunteer in Senegal. She received her Ph.D. in linguistics from the University of Southern California and her B.A. from the University of Colorado.